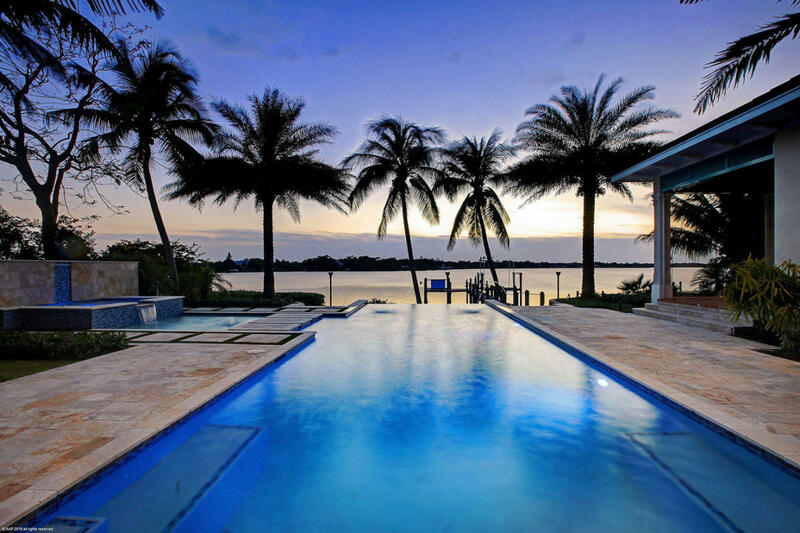 Florida Real Estate: Riverfront Estate In Tequesta For Sale! 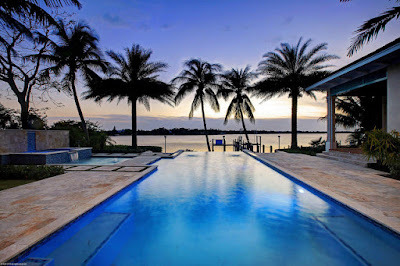 Magical British West Indies custom built Riverfront Estate home in the sun drenched city of Tequesta. This sophisticated home features a Downsview kitchen, marble counter tops, Wolf and Sub-Zero appliances, several custom built-ins, scraped wood flooring, first floor master, exquisite master bath with custom built closet, impact glass, security cameras, summer kitchen, Infinity edge saline water pool and spa with panoramic wide water views surrounded by lush tropical landscaping. All sizes and measurements are approximate. Harbourside Place is the premier downtown destination for shopping, dining, luxury hotel accommodations, entertainment and boating. Nestled along Jupiter’s Intracoastal Waterway, Harbourside Place conveys that classic, coastal vibe. Savor the flavors in one of the mouthwatering restaurants; shop in more than 15 national and specialty stores; stay in the spectacular Wyndham Grand Jupiter Hotel; and revel in live entertainment at the center’s waterfront amphitheater. The Gardens Mall in Palm Beach Gardens, Florida, is a luxurious 1.4 million square foot regional shopping center, featuring over 150 fine specialty shops, anchored by Nordstrom, Saks Fifth Avenue, Bloomingdale's, Macy's and Sears. The shopping center is conveniently located one mile east of I-95, on PGA Blvd.